At a critical time in our lives my wife and I were praying for our son and our daughter as both of them were struggling in the university environment and the Lord led us to base our spiritual prayer of intercession for them on the words of Psalm 91. 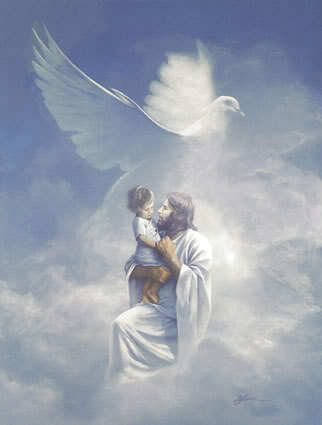 For certain we knew that He needed to “cover them under His wings” and to “deliver them from the snare of the fowler”. Also, as Psalm 27 indicates, King David indicates that his spirit’s desire was to dwell in the house of the Lord all the days of his life and that this “secret place” was where he could find protection and peace. That is why we both consecrated ourselves To Jesus as our Lord and Savior. So that we also would dwell in His House / Secret Place all the days of our lives. Before entering into intercession for our Children we had received the Baptism of the Holy Spirit and thus were sensitive to His leadings as we were depending on His leadings to empower our prayer time with the Divine. So just as we need His Spirit to worship in Spirit and in Truth, we knew that we needed to include praying in the Spirit in order to harmonize our petitions with His will. That is why in praying from His Secret Place must of necessity involve letting His Spirit Pray through us, for this is what “Praying in the Spirit” entails. In order that you may understand more about this manner of prayer I will continue by discussing this way of prayer as the doorway to uniting ourselves to Him as we reach out to Him In His Secret Place. Praying in the Spirit enables us to Pray from the Secret Place of the Most High! There are several sayings of the Apostle Paul regarding “praying in the spirit” that I could quote to initiate the discussion on this subject, but I chose this one because it goes directly to the point – a point many of us would try to avoid. That is, that “praying in the spirit” involves praying in tongues and that when we pray in the spirit it is our “spirit” that is involved and that it is distinct from “praying with our minds”, that is, our soul. This distinction between soul and spirit is one many moderns seek to avoid. Speaking or praying in tongues is one of the more controversial gifts of the Holy Spirit (as per, 1Cor. 12 ff) because many see praying in a language you don’t understand as a demeaning of our persons – especially our intellect. After all how can it be prayer at all if you don’t know what you are saying? How can spouting what appears to be a bunch of gibberish be called prayer? This mystery can only be understood if we properly understand that man has been endowed with a capability to transcend the natural – that capability is embedded in what scripture calls the “spirit” of man. When Adam and Eve rebelled against God, however, this spirit-to-spirit connection with the Divine was broken, not only for them but for all their descendants, that is, humankind. So while we are still born with a spiritual sensitivity, that sensitivity is NOT attuned to the Divine, because our fallen nature is only attuned to the world and our own self-will and NOT to God’s will. So, it is in this sense that our spirit is termed “dead to God” and, thus, may only be revived by God Himself, because, ”only Spirit can beget spirit” (John 3:6). 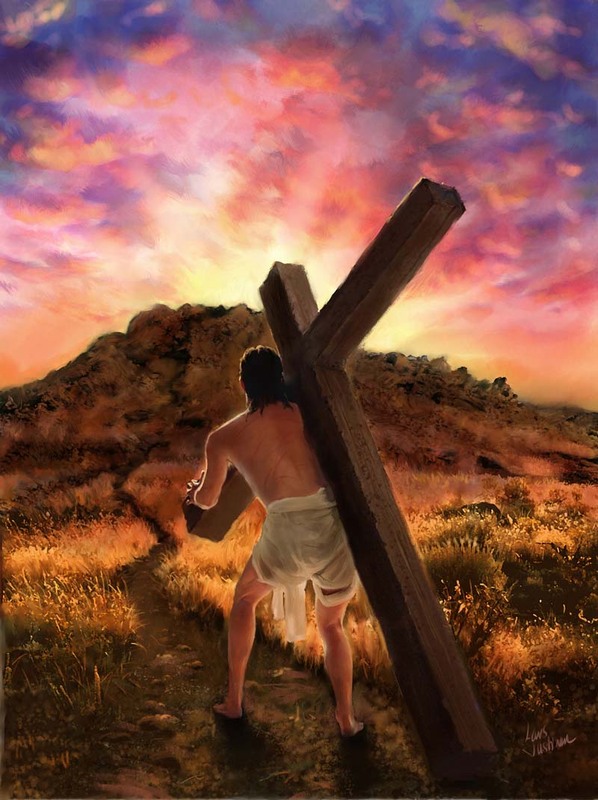 For this reason, because of the Father’s love for us, His creation, He sent His beloved Son, Jesus, to pay the price for Adam’s sin and the sins of all humankind so that our spirits could be regenerated (1Ptr.1:23), thus enabling us to be restored to the relationship with the Divine for which we had originally been created, that is, to be His Children, to be formed into the image of His Son. So it is, brothers and sisters, that before we can be filled with the Holy Spirit’s empowerment we need to have “new wineskins” – a renewed spirit in Christ. Then, and only then, can we receive and hold “the New Wine”, the infilling of the Holy Spirit and His empowering gifts within us. In a later post I will go into more detail on all of the Empowerment Gifts of the Spirit (as distinguished form the Sanctifying Gifts on which I have already posted some articles). Right now the emphasis of this article is to advise you as to the importance of “praying in the spirit” and why there is such a need to accept and exercise this gift for our personal edification and for the good for the community. Now the Apostle Paul said that he would prefer that everyone would prophesy as opposed to speaking in tongues. “Pursue love and strive for the spiritual gifts, and especially that you may prophesy. For those who speak in a tongue do not speak to other people but to God; for nobody understands them, since they are speaking mysteries in the Spirit. On the other hand, those who prophesy speak to other people for their up-building and encouragement and consolation. The reason that he said this is because prophecy works directly to the building up of the Body of Christ and that was a more urgent objective to him, at that time, than the building up of the individual. However, in our modern culture today, If we neglect the spiritual growth of the individual, the community will also suffer because that neglected individual will not be able to contribute to the community if his or her spiritual growth and thus, the maturity of their gifts, is not at the stage where they can contribute meaningfully to the growth of the community. In fact they may become a drag on the community because they may require more personal ministry than those who have matured and are better able to minister to others. 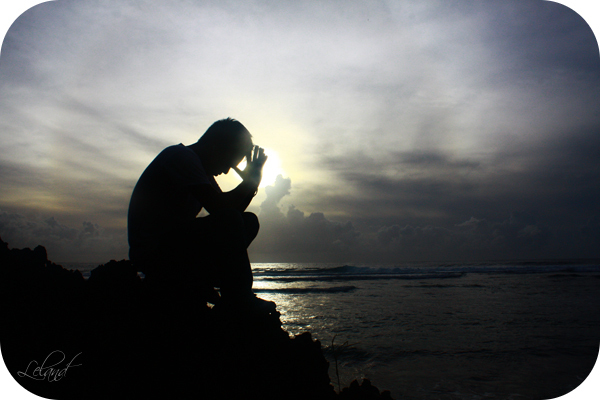 One of the reasons we lose many of our youth to the world today is exactly because their spirits have not been activated through praying in the spirit and, thus, sensing a spiritual emptiness in the rote expression of their religious traditions, they wander off into the world in a vain attempt to fill that vacuum in their spirits. 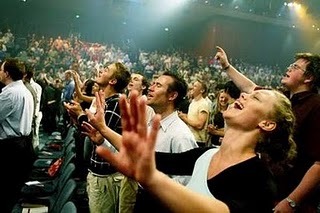 Praying in the Spirit is usually manifested in a person’s private prayer closet but it may also come up in some of the smaller more cohesive prayer groups where the members all participate in prayer simultaneously as led by the Spirit and where the prayer in tongues (in the spirit) spontaneously erupts into singing in the spirit in praise of the Divine. In such cases the gift also helps build up the community. The fruit of this type of prayer is the wisdom and love needed to appropriately exercise the other gifts within a community. Now, speaking in tongues may manifest not only in personal prayer but it may also be the media whereby the Lord wishes to express a word of prophecy to the community. In such cases it is necessary that there be someone in the community to interpret so that it can be of benefit to all. One is also free to ask the Holy Spirit to interpret their prayer language when praying in private. One of the main reasons that individuals resist accepting this gift is the erroneous concept that you are going to be controlled by the Holy Spirit like a puppet. Nothing could be further from the truth. The Holy Spirit values your freedom even more than you do. You see the true agape Love He desires in you can only be derived from a free spirit – otherwise it is not agape Love. What the Holy Spirit is seeking is your freely given cooperation, in Love, so that He may inspire you to freely open yourself to what He is giving you. When you do, He gives you an uplift in your spirit that brings you a joy and peace that is beyond understanding and you also experience the intimacy of the presence of God in your hearts. It is this, His presence in you, which fills you and satisfies the longing of your spirit, for this, the purpose for which we were created. If you really want to know what you are praying in the spirit, just ask the Holy Spirit for understanding. St, Paul, in fact, tells us that we can be praying in our understanding at the same time as we are praying in the spirit (1Cor. 14:14-15). When you begin praying in the spirit you will find that you do not lose the capability to pray in the understanding at the same time. In fact, this should indicate to you that our spirit and our intellect are two distinct faculties that can operate independently. Prayer, true prayer that reaches the heart of God, must come from the depths of a pure and sincere heart – a heart that resonates with the Love and Compassion that is in the Father’s Heart, The closer our prayer is to the desires of the Father’s heart the closer that prayer is to being answered. And, because, our access to the heart of God is through His Spirit that is in us, it is, when we pray in the spirit, that is, out of the depths of our heart, the sanctuary of His Spirit, that our innermost desires become one with His and our prayer is, de facto, “according to His Will”. Of course, if you are NOT “in Christ” you have no access to the throne of God or His sanctuary and need to get in Christ as quickly as possible, through confession, repentance, and conversion ( see Related Links). Praying in the Spirit is the gift that permits us to enter into that sanctuary and where we open ourselves to the Holy Spirit so that our prayers are inspired by His Desires – The desires of the Living God. In order to express these desires through our prayers in the purity they deserve, the Holy Spirit speaks through us in an unknown tongue so that our own intellect and human motives will not taint the pure prayer that comes from the heart of God through us. The is why the Apostle says that those who speak in other tongues are not speaking so that other people may understand but they are speaking mysteries (praying secretly) to God (who does understand) (1Cor. 14:1-5). The exercise of this gift permits the Holy Spirit to use us as His agents, through prayer, to ask for those things the Father desires to achieve in us and through us so that His will might be accomplished and His Kingdom might be manifested in this world. Now, it is possible for us, using our human abilities, to pray the same prayer with our understanding, but because of our limitations it would take many hours of meditative prayer to get to the depths of our prayer needed to obtain the same level of purity and harmony with the Lord’s desires that praying in the spirit can achieve (see the article on St. Theresa and the Four Levels of Prayer in the related Links). Thus, from its operation in us, we see that this gift is a supernatural tool that the Holy Spirit uses to permit our very common and otherwise very limited human nature to participate in bringing forth God’s Kingdom without requiring the human effort and prayer talent required to achieve the same level of prayer and communion with the Father’s heart. We also understand from experience that the practice of this gift increases our spiritual awareness to the Father’s will and desires so that our own spiritual growth is enhanced through the continuous practice of this gift. Our increased maturity, in turn, will assist the community through the increased wisdom and love that flows through our service to others. And, of course, we must never forget the Apostle’s admonition that, unless we practice the spiritual gifts out of unconditional, selfless agape love, it gains us nothing. I pray brethren that this has been of benefit to you and an encouragement to receive and practice the gift of praying in the spirit! May the Lord richly bless you as He takes you deeper in prayer through the gifts of His Holy Spirit! § Be Holy as I am Holy! Having trouble understanding and responding to our call to be Holy as He is Holy? in our walk with Jesus. The first and foremost of these being, living out the Holiness to which we have been called. The only way given us is by yielding ourselves in obedience to the Holy Spirit and rendering Him our full cooperation so that “the Grace that is brought to us at the revelation of Jesus Christ” may be manifested in our lives. Many of us, for instance, do not even understand what the “at revelation of Jesus Christ” refers to since most of us have never experienced such an occurrence. And if we do not comprehend this point how can we proceed to respond to our call to holiness? Do not be anxious …. Note that Jesus’ asked first asked them what the people in their religious culture thought about who He was. He did this because, all of us, even today, initially base our assessment of Jesus on human understanding and tradition about who Jesus is, and NOT on what the Spirit of God is revealing personally to us. That is why, by asking the first question, Jesus was opening their spirits to answer the next question: “… but who do YOU say that I am”? In order to bring us to the same point, He asks us the same question. He wants us to meditate on His Word and go into our inner selves and assess the nature of who WE really think Jesus is? He wants us to distinguish beyond what the world or our culture thinks and what the Father in the Spirit is revealing to us, through His Word, about the divinity of His Son. And not only that, He wants us to testify in faith to the revelation about Jesus we find He has placed in us. Yes! That is why when Peter proclaimed that Jesus was “the Anointed one of God”, that Jesus told Him that the only way he could honestly make this statement was if it had been divinely revealed to him by the Father. And yes, it is the Father’s desire for us also — to reveal the person of His Son to us so that we may not only know about Him but KNOW Him personally was Our Lord and Savior and manifest our faith by verbally testifying to His Divinity. Remember, also, what happened when the Samaritan woman at the well testified to her village that she had encountered the Messiah (cf., John 4:4-42). They believed her witness and believed in Jesus, but not from their own personal experience, but by her testimony. That is where most of us laity are with regards to “knowing” Jesus – indirect believers based on the witness of true believers who have received the grace of His revelation. Nonetheless, second-hand faith is very important as it initiates our entry into the Kingdom. But its importance rests on what we do with this faith we with which we initially believe..
That is what the Father desires for each of us – that we take the initial faith in the Good News that has been proclaimed to us in the Church and seek out Jesus personally so that we meet our Shepherd and experience Him and His Word directly revealed in our spirits to the Glory of His Name. Praised be His Holy Name! But knowing this, you might now ask, how then do we yield ourselves to the Holy Spirit so that He might work in us to bring us to this Holiness in Him? <> Then, you set yourself apart exclusively for the Father’s Work – that is, consecrate yourself, (offer yourself as a living Sacrifice) to the Father. <> Finally, live out your life placing al your faith and trust in Him, and His Holiness will be made manifest in your lives for His Glory! “So if you have been raised with Christ, seek the things that are above, where Christ is, seated at the right hand of God. Set your minds on things that are above, not on things that are on earth, for you have died, and your life is hidden with Christ in God. When Christ who is your life is revealed, then you also will be revealed with him in glory. <> And do not be afraid that your load is too heavy, for He Himself will be your Help. 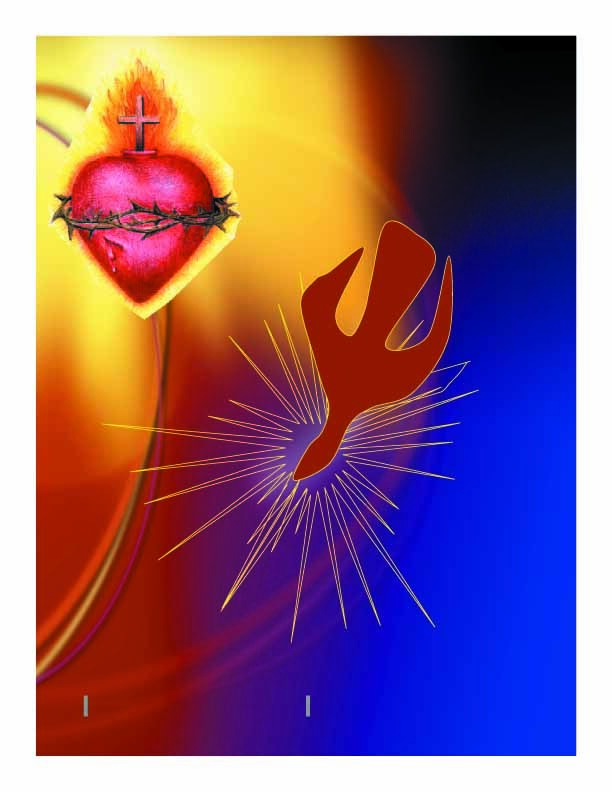 I urge you brothers and sisters, that, especially, this Lenten season, you turn your heart to Jesus and seek a personal communion with Him asking to grow deeper in your relationship with Him. Open the door to your hearts and let Him sup with you – then yield yourself fully to the Grace that flows from Him, the Living Water that will bring you a holy, renewed, and empowered Life In Him! Praised be His Holy Name! May the Lord Bless You in all that you dedicate to do In His Name! One of the great barriers to entering into true discipleship with Christ is our problem in understanding the role that suffering plays in those who, through faith, have dedicated their lives to follow Jesus. I am Crucified with Christ .. The first thing that hinders us about accepting the role of suffering in discipleship is that our natural selves cannot comprehend it. If Christ Suffered for us and took on our sufferings why then should believers still endure suffering as part of our calling? The second thing which hinders us is that, even upon beginning to understand the Lord’s calling for us to endure (certain types of) suffering, we cannot receive it because we lack sufficient faith to enter into and willingly receive the suffering to which we have been called. After all, why would a good and loving God, insist that those He loves pass through the trials of suffering, especially when that suffering comes on us seemingly without cause or seeming justification. Wasn’t Jesus’s suffering sufficient? This of course brings up the topic that the citation from Peter’s Epistle alludes to, that is, our participation in the sufferings of Christ. 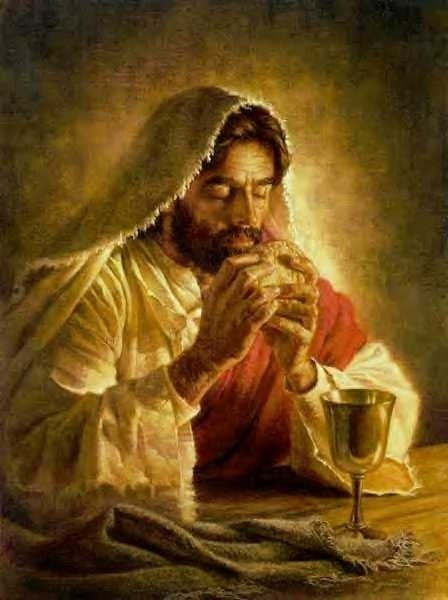 From this brief mention we begin to surmise that we, His Body, like the apostles, are destined to drink the same cup as he drank from, that is , the cup of suffering. That is, the suffering caused by His rejection and torture by the world and the establishment for the proclamation of the Good News of the Kingdom. This then is the main theme of Peter’s Epistle to the suffering church at Rome. To encourage them to endure their persecution in Love, as Jesus endured His persecution in Love. In the beginning of this first epistle, the Apostle Peter indicates that the primary reason that the father permits this type of suffering to enter into their lives (and therefore ours as well) is that, through their endurance, through faith, that same faith may be proven to be genuine, just as Gold in order to be assayed must be tested as if by fire. Just as Jesus’ faith was tested through suffering so our faith also will be tested to determine if it is genuine. For there is such a thing as false faith and many have been deceived by their own human desires into presuming that their misdirected human zeal is the faith needed for discipleship. The Apostle Paul himself decries that, “ .. Demas has abandoned him for this present world” (2 Tim: 4:10), and in his first letter to Timothy he says: “… By rejecting conscience, certain persons have suffered shipwreck in the faith; among them are Hymenaeus and Alexander, whom I have turned over to Satan, so that they may learn not to blaspheme” (1 Tim. 1:19-20). Peter makes it clear in his epistle that the type of suffering that he is exhorting us to endure is the unjust suffering imposed by others on us because of our faith or stand for righteousness. For this, he says, is consistent with our calling. Note that he does not include that suffering which comes to us because of our own unjust ways and sin. Because of Jesus’ suffering and atoning work on the cross disease is not deemed a suffering that we Christians must endure as part of our path to discipleship. For this reason we attend to medical doctors and for this reason we are exhorted to pray for each other healing. Jesus did not have any sick disciples. It is not the Father’s will for us. No! The types of trials we are to endure as disciples is how others treat us because we are outspoken disciples of Jesus. Not those who hide in a corner and are afraid to express their faith but those who openly confess Christ not only by their confession but also by the fruit of their confession – that is, the very lives they live! Yes! They will revile us, persecute us, censor our prayers, expel us from their fellowship. We will lose many whom we formerly called “friends” but in being bold to proclaim Christ to the world we will be drawn into a new community, a new family of brothers and sisters in Christ who are not afraid of being called Christians and who live their lives in the truth of the Gospel, empowered by the Holy Spirit! 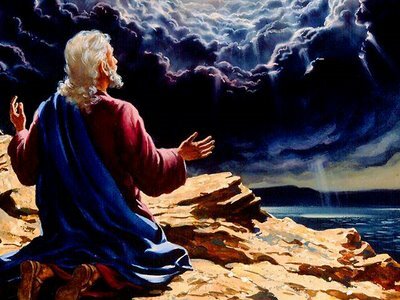 “Baruch haShem” – Praised be His Holy Name! Amen and Amen! © B.R.Timeo and Bartimaeus’ Quiet Place, [2008-2016]. 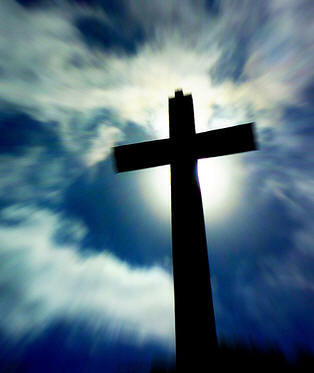 § Be Reconciled with God ! Be Reconciled with God ! There is little doubt, brethren, that each of us, as children of Adam, have partaken of this forbidden fruit and are children of this rebellion since the carnal brokenness of our fleshly lives gives evidence to our disobedience and separation from God. For as St. Paul also concludes: “… all have sinned and fallen short of the Glory of God” (Rom. 3:23). Thus, if in order to satisfy God’s Justice, you paid with your life, what good would that be to you or to God since, without life, you could no longer derive the benefit of reconciliation from the settlement of your debt to God? Thus, the mere fact that you paid your debt with your life certainly would not result in reconciliation would it? You have to be alive to experience true and complete reconciliation. 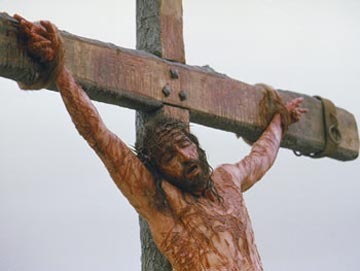 So in a magnificent display of God’s wisdom, mercy, and Love for those whom He created, He determined from eternity that the only way that true reconciliation, that included the propitiation for the sin of mankind, could be accomplished was to send His Son, the Image of Himself, to take on our sins through His sacrificial death on the Cross and to be resurrected to Life so that those who believe in Him might not only be redeemed from their sins but also be brought to new life in His Anointed and so enjoy the restoration of fellowship with the Father as His adopted children! Now that is a true and complete Reconciliation!. This is the fullness of the Forgiveness, Restoration, and Reconciliation that we who believe have in Christ Jesus! Praised be His Name Forever! In the Old Covenant, God chose not to reveal this mystery to Israel, the mystery of how He could forgive sin and not hold it against them, even though this apparently went against the principle of His eternal Justice. Instead, through His Word given to Moses, He instituted, a set of sacrificial rituals for sin that symbolized the Mercy and Love that would be later revealed in His Son, the Messiah (His anointed One) and through which His Justice would be eternally satisfied. “For if the blood of goats and bulls and the ashes of a heifer sprinkling those who have been defiled, sanctify for the cleansing of the flesh, how much more will the blood of Christ, who through the eternal Spirit offered Himself without blemish to God, cleanse your conscience from dead works to serve the living God? Thus, my brothers and sisters, in and through the shed blood of Christ Jesus, we have come under a New Covenant, where we, who believe and have been brought into covenant with the Father, are called to be messengers or envoys of the Good News of this Reconciliation to the whole world, so that all may comprehend the universality of His Love and His Mercy for those that believe! Now, here is an apparent conundrum: the Apostle Paul clearly states that, “… we were reconciled to God through the death of his Son”, and “… not counting their trespasses against them”, yet, Paul continues by entreating, on behalf of Christ, that all who hear these “Good News” to ” … be reconciled to God”, obviously seeking a response from them in the present. The questions is: how is it that, if God, in the past tense, “…. having reconciled the world to Himself”, is now, through Paul’s preaching, appealing to all who hear to take some kind of action to complete what has already been accomplished? If reconciliation has already been achieved eternally through Christ’s death and resurrection, what is it that is left for the hearer’s to do to bring that Reconciliation into manifestation in the NOW of their lives? Obviously, if St. Paul is entreating those who are the object of His preaching, to “be reconciled to God”, it must be that, what he is requiring of his hearers is an act of faith to receive that reconciliation. Like all spiritual blessings and graces, the reconciliation being preached, cannot be appropriated except through faith – a faith that is validated by an act of our will. So what Paul is really asking, is for his audience to “Believe and Repent” in order to receive the Promised Graces of Reconciliation. This means that even though we all have been reconciled to God in eternity, an act of faith is required by us to appropriate this Grace in the present – in the NOW of our lives. The Grace that we reach out to with our faith is the Reconciliation that Christ has won for us and that is already available to us in the heavenlies, but which may only be appropriated by us through an act of faith – that act of faith being our sincere repentance in faith! Just remember, repentance is NOT a “work”, it is an act of faith through which God’s Grace proceeds. Repentance has to be by Faith and NOT by works, because it is only by Faith that we can please God. And, also, from the context of what Paul is teaching – repentance is a grace that turns our hearts towards God in sorrowful acknowledgment of our sins and in a fully yielded acceptance of the Gift of Forgiveness and Reconciliation that is being offered. Continuing in this train of thought, it then becomes clear to us that, although at our conversion and Baptism we repented of all of our sins to the moment of receiving the sacrament, there will be occasions in our future lives where, due to the weakness of human flesh, we will fall again into sin, and when we do what recourse do we have to maintain ourselves in reconciliation (or Fellowship) with the Father? Since we can only repent of the sins we are aware of, do we have to be baptized again every time we accumulate new sins? No, of course not! The reason being, that the Lord also provided for us the continuing means whereby, those of us who have become part of the Body Of Christ through Baptism may maintain or fellowship with the Father. The Fountain of Grace that the father provides is not limited by our time-bound constraints on repentance. The Living water He provides is like a never-ending fountain available to us throughout our lives not only here but through eternity. All we have to do is to reach out to this Grace of Graces through our continuing repentance in Faith! For those of us in the Catholic tradition we believe that the Sacraments of Reconciliation and the Eucharist are outlets of His continuing and out-flowing Life-giving Grace exactly because they provide us, the faithful, with the sacramental means to express our repentance in faith and receive spiritual restoration continually though out our lifetimes. Like the disciples we, as His Children, have been washed clean in the eternal cleansing of Baptism but, because we are temporal creatures, we are being continually exposed to the world and it sinfulness. Thus, we also need to have our feet (our souls) washed at regular periods if we want to continue to have part with Jesus. That washing of the feet is what the Sacrament of Reconciliation provides. If we are to continue to abide in the vine and bear fruit we must undergo a continuous pruning, and that is why our continuous self-assessment under the guidance of the Holy Spirit and His Word (with repentance, as necessary) is extremely important if we are to continue to grow spiritually and not become a “dry branch”. 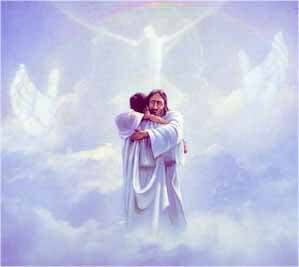 Beloved, what more can be said about the Father’s generous and unconditional Reconciliation. 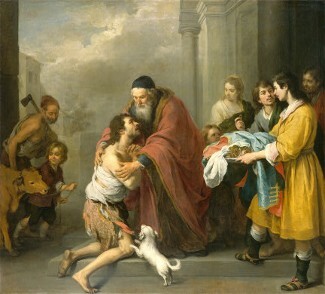 Not only does He accept us, and forgive all our trespasses and receives us to new life as His adopted children, but, also, through the sacraments of Reconciliation and Eucharist, continuously restores us to Fellowship with Him as a continuation of our inheritance in Christ, just as the prodigal son’s father received and restored His returning runaway son (Luke 15: 22 – 24) and restored Him to his place in the estate by placing his robe of righteousness on his body and his ring of authority on his finger. In conclusion, brothers and sisters, I pray, that in my simple way, I have clarified the importance of the Sacraments of Reconciliation and Eucharist as the institutionalized means by which the church attends to the needs of us, the faithful, to assist us in the restoration and maintenance of Our Reconciliation and Fellowship with Him in Christ Jesus, His Son and to strengthen us to hold fast unto Him as we continue on the way of discipleship to Him. To Him be all Glory and Honor Forever! Amen and Amen! As we continue in our walk with Him I leave you with the following scriptures to encourage and strengthen you continue in the Way in Him, Jesus, The Son of the Father and Our Savior and Lord! Baruch Ha Shem, Blessed Be His Name Forever! “All this I have spoken while still with you. But the Counselor, the Holy Spirit, whom the Father will send in my name, will teach you all things and will remind you of everything I have said to you. 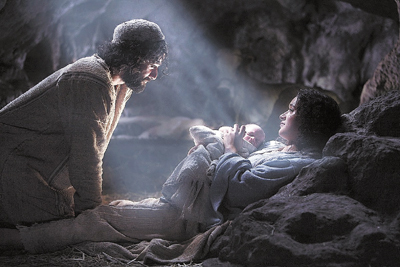 As we approach the celebration of our savior’s birth it is appropriate that we meditate on the unimaginable mystery and magnificence of this event. A mystery which was kept even from the angels – basically, the Father’s plan to redeem us from the sin which has enveloped humanity since Adam. The Father’s giving of His Son begins at the Birth of Jesus – the event we celebrate as Christmas – the key event, on this Earth for His plan of redemption. The Gift of His Son begins at His Birth, His “incarnation”, where He emptied Himself of His Divine nature and became as one of us. This began the process by which the Word of God, the Son of God, became flesh for the purpose of sacrificing His Life for for our sins and, in this manner, manifested the Love of the Father for His creation and opened the door for our own re-creation in His “image”. From this scripture we understand that, in order to accomplish His will in this regard, the Father needed a select volunteer, a human woman without sin to bring forth the Son of God incarnate into this world. This woman was Mary, a pure virgin dedicated to God, selected by Him to be the vessel through which His Son would be conceived and born as the God-Man anointed savior of the world. And, as you might expect, it all began with an Angel delivering a Word from God. (For God does nothing apart from His Word). In delivering this Word from God, the Angel was delivering a Divine Promise and in order for this Promise to be realized, Mary, the chosen mother of His Son, needed to willingly and in faith accept and receive that Promise. Although she asked out of curiosity, “how can this be since I am a virgin?”, the Angel told her “.. with God nothing shall be impossible” (Luke 1:37). And Mary, responding in faith said, “Behold the handmaid of the Lord; be it unto me according to thy word. 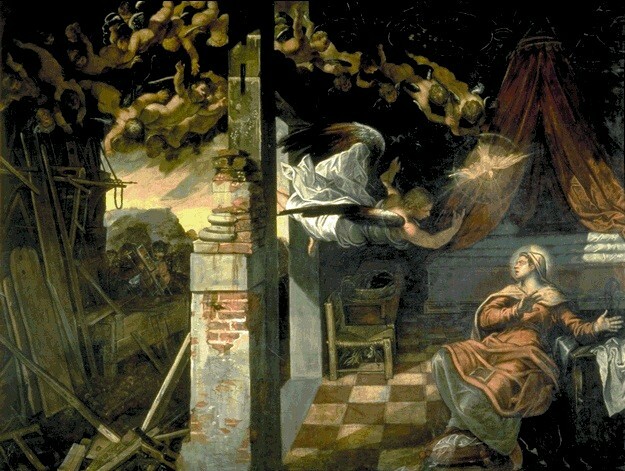 And the angel departed from her” (Luke 1:38). Brethren, I gently remind you of these things that you already have heard but which may not have had the impact it ought on your heart, so that you may be made aware, by the Holy Spirit, that the Father’s Love and purposes for the Birth of Christ, His ministry, His Passion, His Death and His Resurrection go much further than saving us from our sins and bringing us into His Glory. In fact, His intent was, and still is, for Jesus, His Son to be the first of many brethren. His intent is to replicate His Son in us so that His Glory and the Glory of His Son might be multiplied amongst us, and through us who believe, and so that we might be His instruments for the manifestation of His Kingdom in this world. Baruch ha Shem! Peter, our first pope, expressly stated this underlying destiny for those who have also been born again through the Promises of His Word and who through the preaching of that word, have come to adoption as His children through Jesus Christ, our Lord. Yes! As you might expect, we also are re-born spiritually, through the proclamation of God’s Word – the Good News of Salvation in Christ Jesus! And, as the Apostle Peter further amplifies, it is the Father’s intent that we, through our faith in His Promises, may become His partners in brining forth His Kingdom, through our baptism into Christ! “Rid yourselves, therefore, of all malice, and all guile, insincerity, envy, and all slander. Like newborn infants, long for the pure, spiritual milk, so that by it you may grow into salvation— if indeed you have tasted that the Lord is good. And what are these spiritual sacrifices that are acceptable to God? Aren’t these, in effect, the giving of our “selves” to God? To that question the Apostle Paul responds affirmatively …. In order to assist you in accepting this challenge Brethren, I follow this article with a Prayer of Commitment, so that those of you whom the Holy Spirit has touched may, upon personal meditation use it to formulate your own payer of commitment wherein you not only dedicate your “self” as a Living sacrifice in response to the Father’s Love but you also yield yourself to the Holy Spirit so that He can fill you and mold you and empower you to bring forth the Father’s kingdom in and through your lives. I conclude with the Apostle Paul’s prayer to the Ephesians who were also at the same point you now are, in being invited to enter the Kingdom through the gift of yourselves to the Father and to bring the Good News of the Kingdom to others…. “I pray that out of his glorious riches he may strengthen you with power through his Spirit in your inner being, so that Christ may dwell in your hearts through faith. And I pray that you, being rooted and established in love, may have power, together with all the saints, to grasp how wide and long and high and deep is the love of Christ, and to know this love that surpasses knowledge–that you may be filled to the measure of all the fullness of God. We have all been taught to respect all of humankind as “children” of God and, in the limited sense that we have all been created by Him, that is certainly true. But the New Testament introduces us to another perspective – and that is, that, we who believe in Christ have become a “new creation” and are literally “in Christ” and “Christ in us”. Because we are created in His image, we are now His brethren and thus “spiritual” Children of the Father and are of the same genre as the Son and destined to be like Him. Our problem today is not so much that we are unaware of this truth but that we have not comprehended that truth in its full spiritual intent so that through faith in this truth we may bring forth its manifestation in our lives. Without this spiritual understanding we end up living our lives as fleshly children ignorant of the spiritual inheritance and the spiritual power and purposes that the Father intended for us in the manifestation of His Kingdom here on earth. 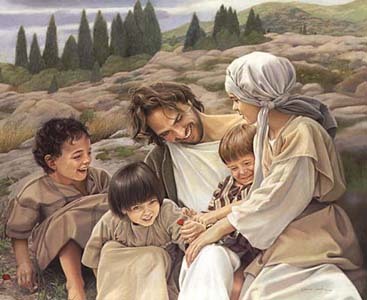 In saying this, of course, He was comparing the disciple’s obvious spirit of pride and competitiveness to the humility of little children who had not yet been affected by the spirit of the world – whose hearts had not yet been conditioned to thinking and acting like the world but were open and responsive to “true” love. It is this openness and humility of heart that the Lord is trying to instill in His disciples – a trait, without which, they cannot enter the spiritual realm necessary to undertake a sharing in His ministry – which He termed, “the Kingdom of Heaven”. 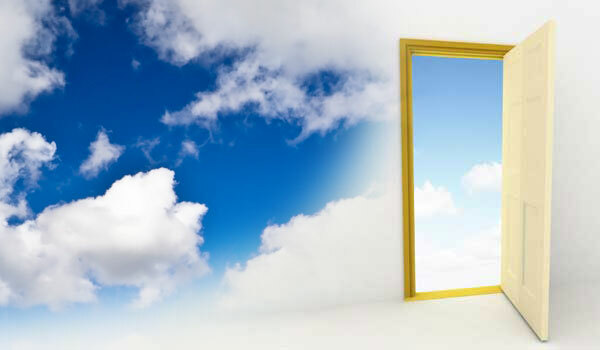 This doorway into the Kingdom permits us to transition from mere fleshly children to our “New Creation” in Him – spiritual children who have been “born of God” – “children” who KNOW, UNDERSTAND, OBEY and LOVE their Spiritual Father. It is this challenge that the Lord sets before all of us who have been called to be His disciples – the challenge of changing from our fleshly approach to life and truly becoming the Father’s Spiritual Children, Jesus’ Brethren, by yielding to the Spirit of the Son that indwells us. Although the process of becoming or changing into spiritual children is begun in Baptism and conversion, it is a challenge to us because it doesn’t just automatically happen – it requires an action of the will. An action based on our full consent and knowledge of what it means to let Jesus be the Lord of our lives and our yielding to the Holy Spirit to conform us into His image. It is a challenge because such a commitment goes against our human nature and our fleshly instincts. We must forget our natural responses to life and begin a process of renewing our minds (Rom12:1-2) to what the Spirit of God is leading us to do. We must even change the motives behind our religious activities. For indeed, we find that we are no longer here “to do something for Christ” but to let the Christ that is in us live and work through us to bring forth the Kingdom. In becoming a child of the King we have to learn to love as He loved, to walk in the Spirit as he Walked, to hear the voice of the Father as He heard the Voice of the Father, and to learn to be an obedient servant as He was a servant. In becoming a child of the King, we have to move from being self-centered to being God-centered. We have to yield ourselves to the Holy Spirit and be empowered as He was empowered. And, most of all, we have to learn to pray as He prayed – to bring ourselves before the Throne of God by putting on Jesus’ Robe of righteousness and, in His Name, relate to the Father directly as His Children, be enveloped in His Love, and to go forth from His embrace to fulfill His will in this world, knowing that the Spirit of His Son is in each of us and that He will never, never forsake us no matter what. Is this transformation easy? No, of course not! Not only will you be going against your own fleshly nature but you will be going against the world culture itself. Just as the world did not receive Jesus you will not be received. Just as, His home town, Nazareth, did not receive Jesus so also you will find that not all in your religious community will accept you. 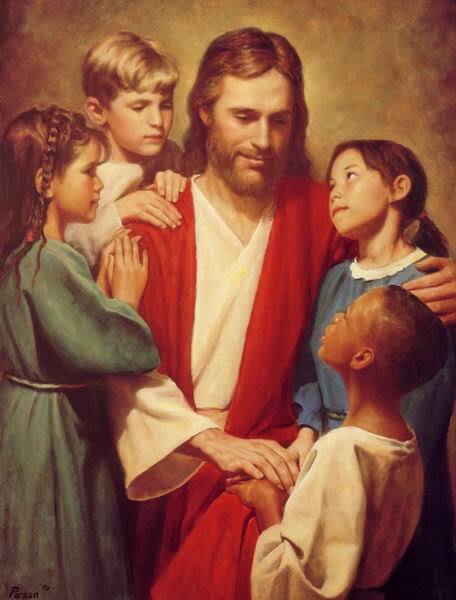 Of course, Jesus is there to help you all you have to do is YOKE yourself to Him! Yet, if you KNOW your calling, like Jesus did, you will persist in doing what the Father has called you to accomplish in His Name, regardless of the obstacles. If you do this in Faith, although you will endure suffering, you will see the mountains removed and the Will of the Father prevail! Praised be His Holy Name!! Now, in order to encourage you to step out in faith and live out the life of Christ that is in you, I present to you a series of scripture and commentaries that in meditative prayer, will assist you in opening your heart to God’s Spirit so that He may guide you into the process of becoming His Spiritual Children in Christ Jesus. The Spirit bears witness that we are the Children of God. 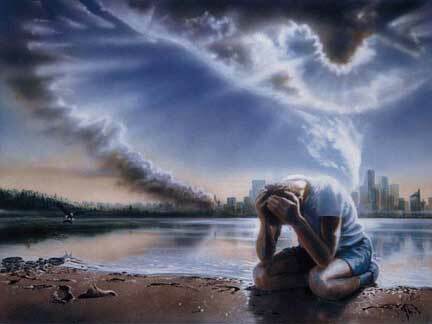 Has the Spirit witnessed to your Heart that you are His Child? If so, then you can ask yourself, are you being led by the Spirit of God or by your own fleshly desires? If you are not aware that you are being led by the Spirit of God – then why not? “If the Spirit of him who raised Jesus from the dead dwells in you, he who raised Christ from the dead will give life to your mortal bodies also through his Spirit that dwells in you. So then, brothers and sisters, we are debtors, not to the flesh, to live according to the flesh— for if you live according to the flesh, you will die; but if by the Spirit you put to death the deeds of the body, you will live. Who, then, is it that dares to detain us “Lay Children” from coming closer to Jesus in the Spirit? Is it the Legalists who demean us? Is it our religious culture that misinforms us about who we are in Christ? Or is not our own ignorance of the Word that tells us of our inheritance as children? In the past, when we were not yet His spiritual children, religion was a disciplinarian that made us aware of those things in us that limited our access to the Divine. But, now that Christ has died for our sins and has exchanged His Life for ours, what is it that keeps us from coming to the spiritual awareness of the Spirit of Christ that abides in each of us and that we are co-heirs according to the promise? Why do we still act and think like slaves and not as heirs to the Kingdom? But now, as co-heirs with Christ, we have been brought near – we have access to the Father, and no one can separate us from His Love. Have you so yielded yourselves to Christ so that you KNOW that He abides in you and you in Him? If not – why not? Is it because you feel unworthy? Is it because you know you are a sinner? “And we know that God causes all things to work together for good to those who love God, to those who are called according to His purpose. For whom He foreknew, He also predestined to become conformed to the image of His Son, that He might be the first-born among many brethren; and whom He predestined, these He also called; and whom He called, these He also justified; and whom He justified, these He also glorified. There will be some of you who think to yourselves: “ … well, I’m not such a bad guy – I go to church and do all the things I’m required to do, I guess this doesn’t apply to me.” Well stop justifying yourself, meditate on the Word, let it divide your soul from your spirit (Heb 14:1-2), and the Spirit will show you your failings, But this is exactly what God wants of you so that you may turn to Him in repentance. “This is the message we have heard from him and proclaim to you, that God is light and in him there is no darkness at all. If we say that we have fellowship with him while we are walking in darkness, we lie and do not do what is true; but if we walk in the light as he himself is in the light, we have fellowship with one another, and the blood of Jesus his Son cleanses us from all sin. If we say that we have no sin, we deceive ourselves, and the truth is not in us. If we confess our sins, he who is faithful and just will forgive us our sins and cleanse us from all unrighteousness. If we say that we have not sinned, we make him a liar, and his word is not in us. My little children, I am writing these things to you so that you may not sin. But if anyone does sin, we have an advocate with the Father, Jesus Christ the righteous; and he is the atoning sacrifice for our sins, and not for ours only but also for the sins of the whole world.Now by this we may be sure that we know him, if we obey his commandments. If we repent and confess our sins He is righteous and just to forgive us (1 Jn 1:9). Then, If we receive His Body and His Blood we will abide in Him and He in us (Jn.6:56) – giving us access, through Christ our High Priest, to the Throne of Grace. When we do this, we put on the robe of His righteousness (Rom.13:14), so that we can then come boldly before the Throne of Grace. Do not let anything or anyone stand in your way, for you are truly a Child of the King and if you open yourself to Him and His Reign, He will live and manifest Himself through you to the Glory of God the Father! Praised be His Holy Name!! So then brethren, this is the message we heard from Him – the Good News about becoming God’s Children, that we pass onto you, so that your inheritance in Christ may not go unrealized and so that in knowing who you are in Christ you may go boldly before His throne in prayer to bring forth His Kingdom in you and in those around you! This is how our spiritual Childhood is manifested and how, in so doing, we enter into a partnership with the Divine in what He intends to accomplish in this world for His Glory through the Spirit of His Son that is in us, His Children! “… Jesus has so incomprehensible a love for us that he wills that we have a share with him in the salvation of souls. He wills to do nothing without us. The Creator of the universe awaits the prayer of a poor little soul to save other souls redeemed like it at the price of all his Blood.” When God’s word is spoken his kingdom is revealed and his power is released. When people respond to God’s word with faith and obedience they are changed and made “a new creation” in Christ” (cf., 2 Corinthians 5:17). Do not let the message of the Good News and your calling be quenched for it is not from me but from His Holy Spirit! Praise His Holy Name! There are many modern Pharisees in the world that will tell you… “no, don’t pray like this” or “don’t teach in His name or heal in His Name for it is against our customs”. But do not listen! They are trying to close the door to the Kingdom – a door that they, themselves, will not enter but are quick to prevent others from entering (cf., Matt.23:13-22). Place all your trust in Jesus and His Word, guided by the Holy Spirit that is in you and enter the Door into the Kingdom – the Door that no man can shut! Of course, that Door is Jesus Himself. Blessed be the Name!